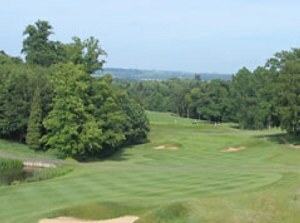 Golfshake member review and playing guide of Bowood Hotel Spa & Golf Resort from Alex Bishop, a course rated 4.27/5 from 15 reviews here on Golfshake. Set within ‘Capability’ Brown’s 2000 acre great park and the estate of Bowood House and Gardens, currently home to 9th Marques of Lansdowne, the spectacular Golden Gate entrance sets the scene for what is a truly spectacular golf course. Re-named Bowood Hotel, Spa & Golf Resort after the addition of a 4* hotel, spa and gym in May 2009, to the championship golf course which opened in 1992, the resort now has something on offer for everyone. Built on mature farmland with a host of mature trees and carefully crafted lakes, the golf course offers a peaceful and tranquil atmosphere in the heart of Wiltshire’s countryside. Designed by Dave Thomas, co-designer of The Brabazon at the world famous Belfry, Bowood offers a tough challenge to any standard of golfer. A championship parkland design which measures 7309 yards from the championship blue tees, 6878 yards from the white tees and 6566 yards from the yellow tees guarantees a fair confrontation to all players. With a total of 98 bunkers, the need for driving accuracy is paramount, traps are placed at different distances ensuring that both the club golfer and the longer hitter can be tested. Wide of the fairway lining sand traps and you will find wildflower, guaranteed to punish a wayward shot. However, generous fairways ensure that a precise tee shot is well rewarded. The greens are well protected by more bunkers meaning it is essential to fly the ball onto the putting surface. Built to USGA spec, the receptiveness of the turf guarantees a well struck shot will hold the green, even with longer irons and fairway woods, which are often needed on the long par 3’s and 4’s. Their large size offers a generous target, however it may leave a long and testing two putt, especially if the wrong tier is found. Finding the flatter part of the green is essential as subtle undulations can throw even the best of green readers. The course begins with a long straight par 5, lined by trees on the left disguising a lake, and out of bounds wide on the right. Three decent shots are needed for a comfortable par with the green rarely hit in two due to the hole playing over 560 yards at its shortest. The 2nd is a sharp dogleg right down the hill with out of bounds right, and being the shortest of the par 4’s it gives the longer hitter the opportunity to take it over the trees to get close to the green. For the club golfer, straight down the middle at the bunker will leave a mid to short iron in. The 3rd is the second shortest of the par 3’s but by no means easy. A ditch runs across the front of the green and up the right hand side of the hole with woodland to the right of that. A tricky green with a steep tier means it is essential to hit the correct section. The 4th is the first long par four, doglegging left, with a bunkers protecting the left corner and right side. A longer approach shot is common with a bunker covering the majority of the front and right side of the green. Some respite is offered at the 5th, a shorter and subtle dogleg right, but again bunkers line the fairway and protect the front of the green. However, a shorter iron in provides more of a chance of a birdie. The 6th is the next par 5, requiring an accurate drive down the middle to avoid the out of bounds right and the 2nd fairway dropping down to the left. The hole then turns sharply right, with a large oak tree in the middle to negotiate with your second shot. Getting past this leaves a fairly straightforward shot to the green. The 7th is a tough par 4, rising up a fair hill, doglegging left, and slowly back down to the green. A draw from the tee is essential to get up over the hill and avoid finding a fairway bunker. Again, a longer second shot is common. The 8th is the shortest par 3, measuring just less than 150 yards, it is fairly straightforward. The front nine concludes with a par 4 doglegging right. A long straight drive here could end up in the water so be sure to check your distances. The back nine begins with a straight par four followed by a long par 3 which requires a well struck shot to carry the bunker onto the green. At its shortest, it is just less than 190 yards. The 12th and 13th are two long par 5’s which with the right wind, may be reached by the longer hitter. The first of the two drops slightly downhill, past a small lake on the right side, before climbing back up to the green. A set of double bunkers protect the whole of the green so do not be deceived into thinking flying the first set will lead you to finding your ball on the green. The 13th doglegs right with bunkers protecting both the right and left corners of the fairway. A large lake then lines the right side of the fairway so the ball needs to be kept left. Generally, three good shots are required. The 14th runs alongside the 5th, doglegging the opposite way from right to left and similar in length. The two holes share a huge double green which provides a tricky two putt if the approach shot is miss-judged. The 15th is the last of the par 3’s, again measuring around the 190 mark. A decently struck shot, preferably with draw, is needed to find the green. The 16th is the start of a tough finish to the course. This hole requires an extremely precise drive to be placed either on the left or right side of the fairway, which is split down the middle by three bunkers. Bunkers are also visible on the left and right sides, meaning an accurate tee shot is required. The 17th is the hardest hole on the course, which is not only long, but also doglegs sharply left with water and out of bounds protecting the left side. The longer hitters can take on the big trees and cut the corner, but for most golfers it is sensible to play down the centre towards the bunker, to leave around 190 yards plus for the second shot. This hole is very much risk and reward from the tee. The course finishes with a soft dogleg right which can give the opportunity of a shorter approach if a decent drive is struck over the corner. Anything down the middle will still leave a comfortable approach shot. Bowood is definitely a course requiring accurate driving and well struck fairway shots if a decent score is going to result. Either that, or some very good bunker play will be required. A great course providing a challenge but fair rewards for decent play. Bowood does not just offer a championship golf course. May 2009 saw the opening of a new 4* hotel with a state of the art gym and spa, offering the opportunity for fine dining and relaxation. This is in addition to Queenwood lodge which sits in between the 16th and 17th holes offers a more secluded break for up to eight people. Other golfing facilities include a covered driving range and a grass practice tee, a large putting green, chipping green and a 3 hole par 3 academy course offering distances from 130 yards through to 230 yards and greens as good as the course. Overall, it is an all round resort offering something for everyone.